(CNN) - Protests erupted in Sacramento four days after Stephon Clark, an unarmed black man, was shot by police in his grandmother's backyard. 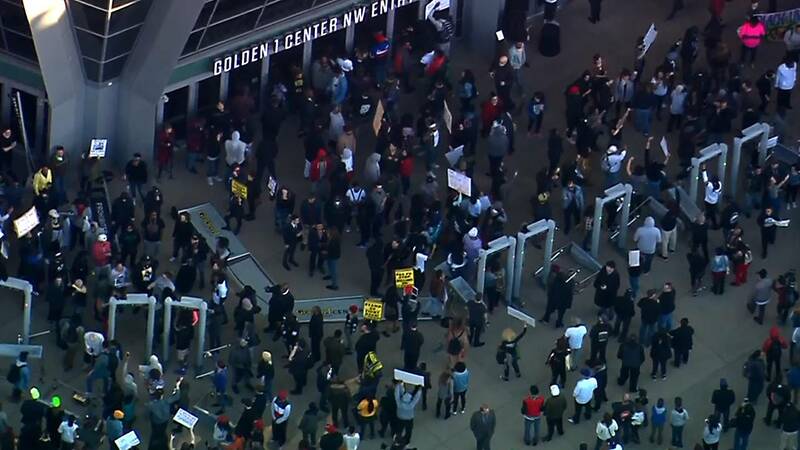 Demonstrators blocked the entrance to an arena where an NBA game was scheduled Thursday, chanting "Black Lives Matter" and the name of the 22-year-old who was killed. Clark's grandmother said she was inside the house when the shots were fired, and saw her grandson with an iPhone. Stevante Clark, Stephon's brother, said the two often stayed at their grandmother's house. He said he's "livid" with the police right now. Clark said he wants his brother's name to be remembered in the same way that people remember Trayvon Martin, Tamir Rice, Eric Garner and Michael Brown.